...the perfect place to laze under the sun and enjoy the sea breeze. We offer you a customer experience so rich and genuine, you will soon feel Di Astana is almost like home. At Di Astana luxury villas, you can expect to feel nothing short of royalty. Offering many of the luxuries of our Complete Villas, the luxury Di Astana Villa Suites at Batubelig afford the best in laid-back Balinese style, exquisite service and upscale amenities. Each suite features an air-conditioned bedroom and ensuite bathroom along with an open-air living room or veranda. Di Astana is located in an established residential area in Batu Belig, Petitenget, conveniently within 30 minutes from the international airport in Bali. 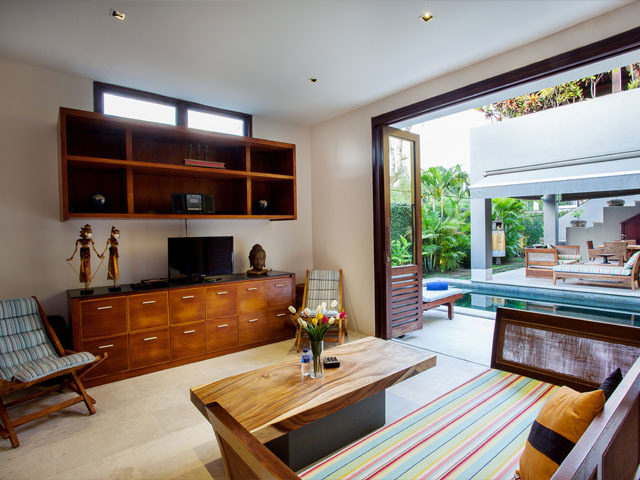 Walking distance to the beach (ca 100 meter), and within 5 minute drive to shopping and excellent international restaurants and nightlife in the Petitenget and Seminyak area and short distance to heart of Kuta Bali. 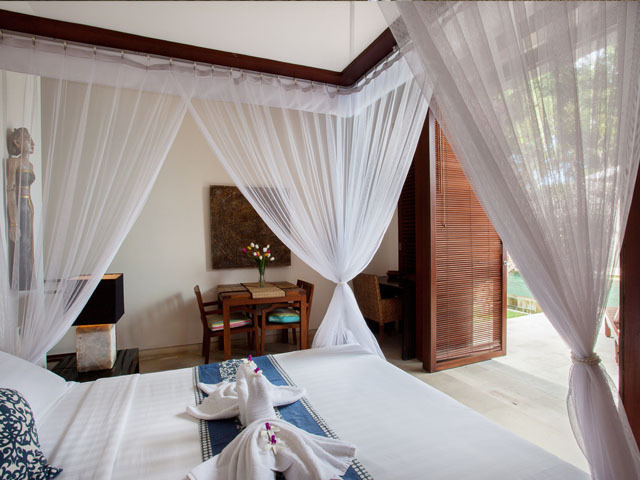 The Villa offers a unique experience of authentic Balinese culture, qualities and atmosphere. From our terraces you can view the sunset and the ocean or admire the volcanoes. Di Astana is in close proximity to Canggu International Club and only 20 minutes from the international Nirvana golf course in Tanah Lot. Discover true island style and subdued sophistication throughout our sophisticated designed oceanfront private, luxury Di Astana villas. Every accommodation across the property is meticulously maintained with dedicated staff to ensure your every comfort and desire is met. The buffet includes the following: a daily selection of cereal, breakfast meats, fresh island fruits, housemade breakfast pastries (gluten-free options included), made-to-order omelets, hot and cold daily specials, juice and coffee. Luxury and comfort go hand in hand with our exclusive airport transfer service. Whether you are arriving or leaving the Hotel Villa Di Astana, a private chauffeur will be at your disposal to assist with your luggage or any other request you may have. 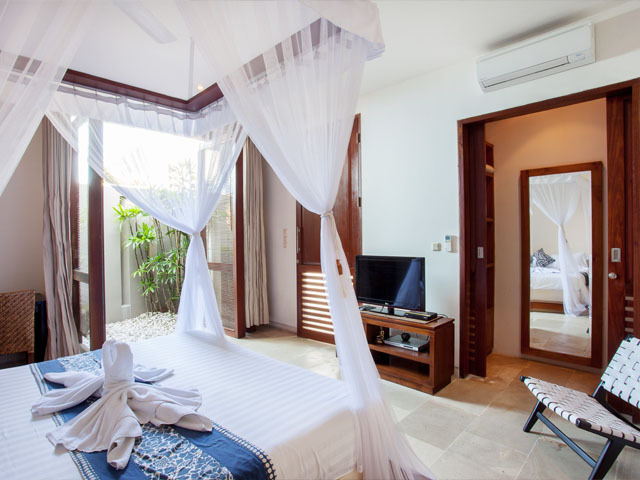 Your bedroom self contained villa comes complete with complimentary high speed WiFi, 26” HD flat screen Cable TV, and pool near your door. The pool is yet another pavilion, a place to swim under a canopy of fragrant frangipani or just sit and enjoy the tranquility of the garden. You will be drawn to the spectacular roof terrace with traditional timber bale loaded with inviting cushions, where the cool sea breeze is forever evident, gaze through coconut trees to the ocean or just relax in the dappled shade of the majestic sacred tree which crowns the adjoining temple and listen too the surf gently breaking on the beach. The property of 1,100 square meters consists of the exclusive residence Di Astana (translation; “at the castle”), designed by well known Australian designer Terry Brooks. Since the Villa was taken over by new owners in 2008 it have been developed and upgraded with high end architecture, design and functions. Great architecture combined with high image is expected to create appeal with modern people seeking a special oasis in the paradise of Bali – the islands of the Gods. Di Astana © . All rights reserved.